Achieving successful voter participation is a challenge many organizations face. Although there isn’t a perfect answer to guarantee an increase in voter participation, there are different tactics you can incorporate to modernize your election. Register for Bringing Your Election into the 21st Century to gain insights you can use to increase voter participation. 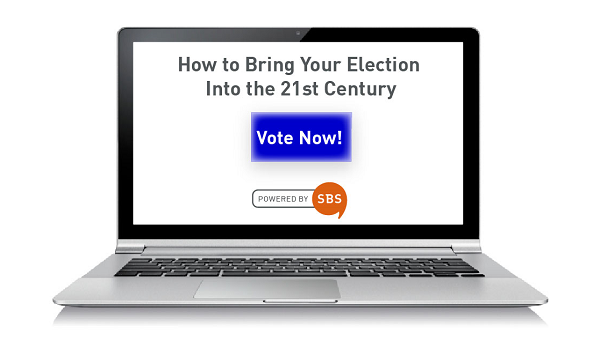 Join SBS presenters Deb Ranelle, Tony Hoff and Kyle Brandt as they uncover a 21st century approach toward voting, challenges that impact older methods of voting, and secrets to successful voter participation.